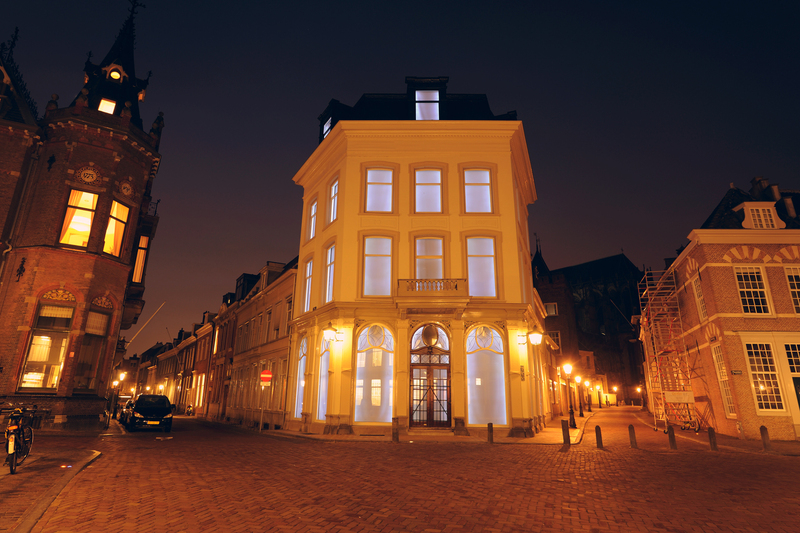 The Pausdam is dominated by two historic buildings: The Paushuize or Pope‘s Residence (originally intended as the residence of the only Dutch pope Adrianus VI and now the residence of the Royal Commissioner of the province of Utrecht) and the University premises at the head of the Trans. Controllable LED lights are installed on every window. The buildings are animated, as it were, from the inside, by a soft ‘breathing‘ and slowly moving light. The programme is essentially abstract, but at the same time provides a scale of suggestive, associative and poetic images of light. 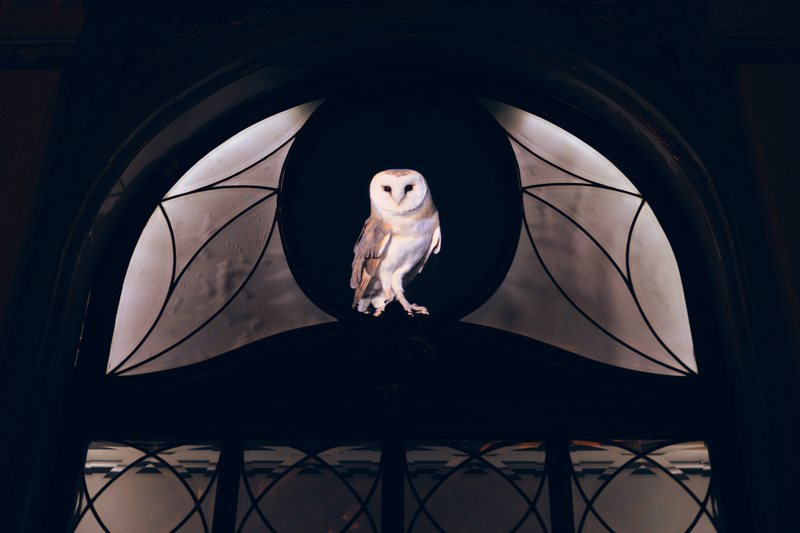 The apotheosis follows in the window above the two front doors, where an iconic depiction of a barn owl and a white dove will appear, which will refer to the identity of each building.